In stock models are listed below and available to be seen at our marine center. We generally have 3 to 6 models available for you to see, at any one time. After viewing the models, and seeing all of the options, you may decide that your particular requirements will be best fulfilled by a custom order. In either case, we are here to help you. Come by and see us! Or, you can reach me here. 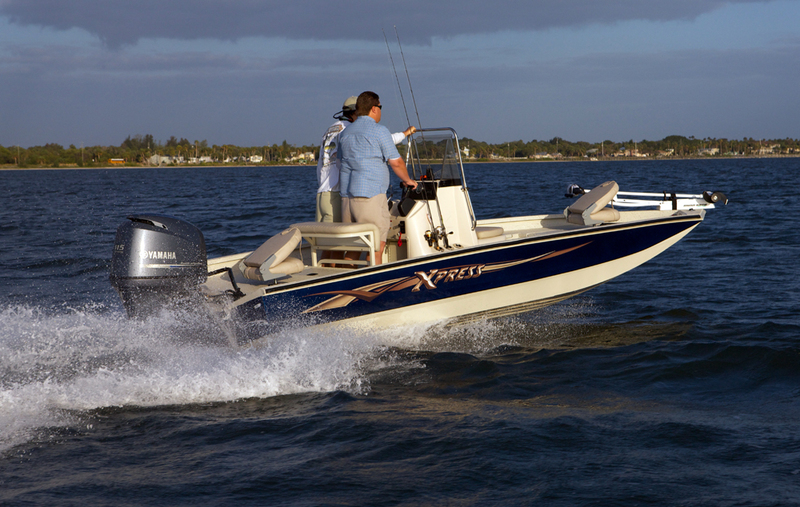 Xpress’ impressive line up of 6 boat styles, 7 hull designs, 14 packages, 10 color options, and 20 accessory options, presents a wide array of choices that is certain to help the most discerning water sportsman find the boat of their dreams. And, to add to the arsenal of fishing equipment that can be at your disposal, choose from Minnkota Fortrex trolling motors, Precision on-board chargers, or Talon shallow water anchors. Also available are the Humminbird Helix and Onix series fish finders, and the 360 Imaging system. Xpress has the right boat for every application, and your selection can be made easier with a beautifully illustrated, information-packed guide. Click here to receive your own personal copy, or call me with any questions you might have. 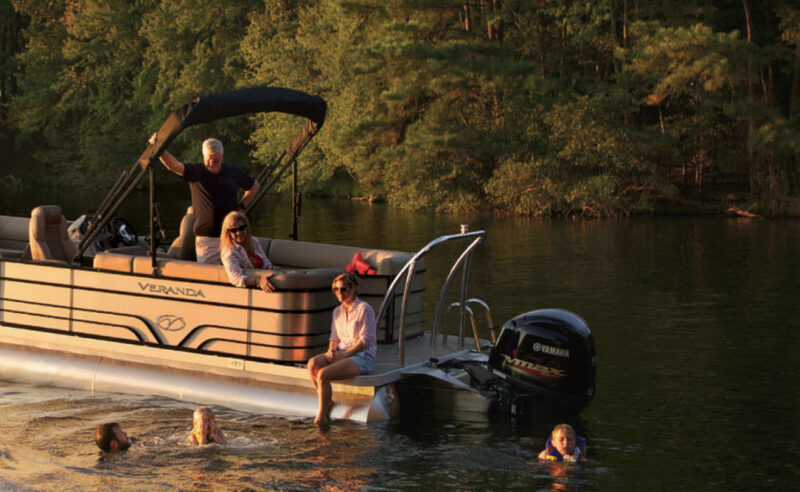 Redefining what it means to “have a great day”, Veranda has introduced three new models into an already great lineup of luxurious pontoon watercraft. The NEW for 2016 Vertex Series is loaded with plush features from bow to stern that will comfort and amaze you. The Bar Series is equally equipped to deliver a memorable day or evening on the water. Bringing not one but TWO levels of excitement to your boating experience is the all new Hardtop Series, introducing a second deck complete with a sliding board! Relax with friends and family, and begin to experience a lifetime of enjoyment. But, with options like the Rear Facing Lounge for the VP and Relax Series or all the fishing options one could dream of in the Fishing Series, it may be difficult to decide. Your selection can be made easier with this colorful and detailed guide from Veranda. Click here to receive your own personal copy, or call me with any questions you might have. Please do not hesitate to contact us with your inquiry.